Join us for a super sweaty, super fun ride at Zoom Indoor Cycling HSV! 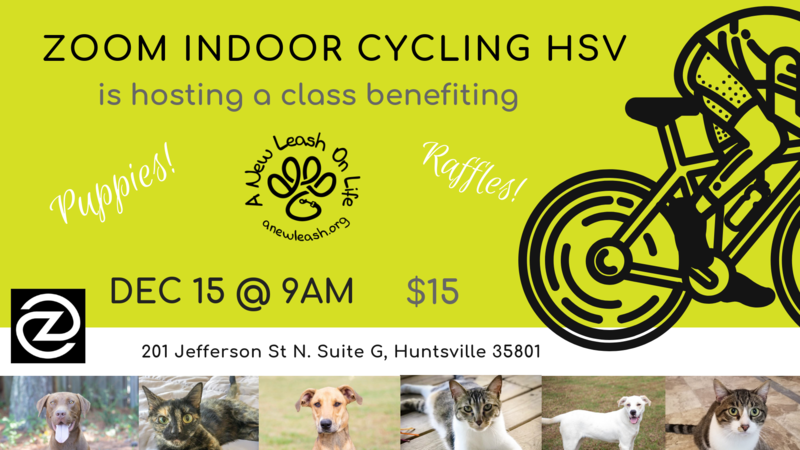 ANLOL will have PUPPIES available to snuggle after class and Zoom will be raffling off phenomenal prizes like cycling shoes, t-shirts, and more! The class costs $15, which is a donation to A New Leash on Life. We will be accepting additional monetary donations as well as supplies at the event if you feel inclined to give more!